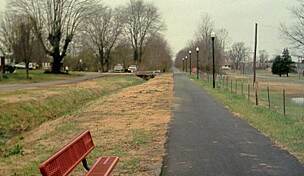 The Muhlenberg County Rail-Trail in rural southwestern Kentucky connects the community of Central City, Muhlenberg County's largest city, to Powderly and Greenville to the south. 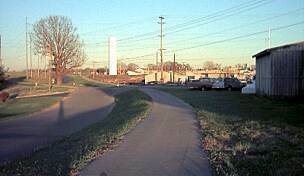 As Kentucky's most extensive rails-to-trails conversion, this 6-mile asphalt trail is relatively flat except at the north end where the trail leaves the old rail bed for an uphill climb to the former location of the Central City High School. 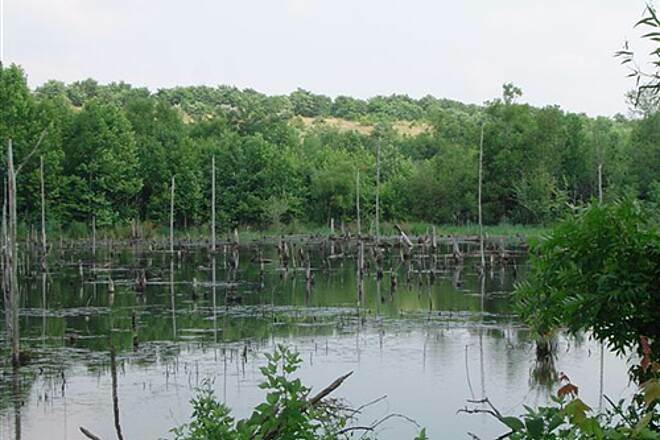 Between Central City and the Western Kentucky Parkway, the trail meanders through wetland marsh populated with beavers and a large variety of fish. 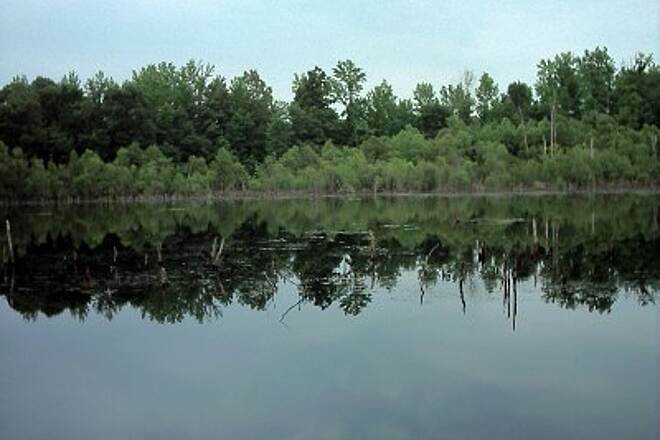 A viewing platform overlooking the wetlands was recently constructed and includes a birding guide produced by a local Boy Scouts troop. 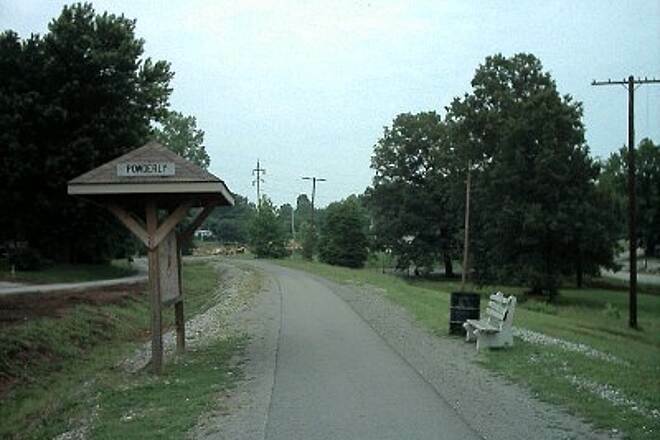 The southern section of the trail passes through the tiny, rugged town of Powderly before ending at the Greenville trailhead. 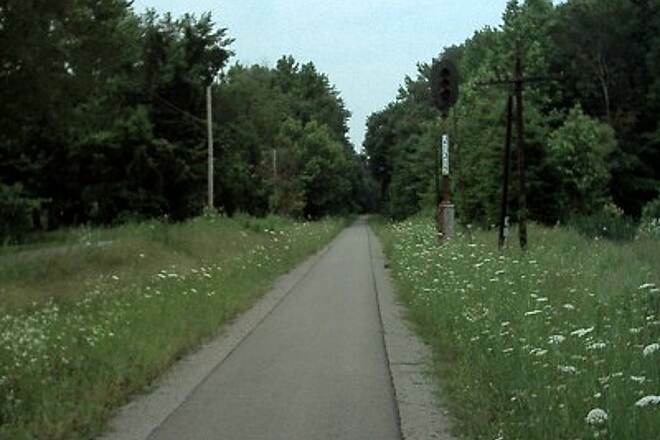 The trail's railroad history dates back to the late 19th century when the Illinois Central Railroad Company operated on this corridor, hauling coal from nearby mines in addition to running passenger rail service. 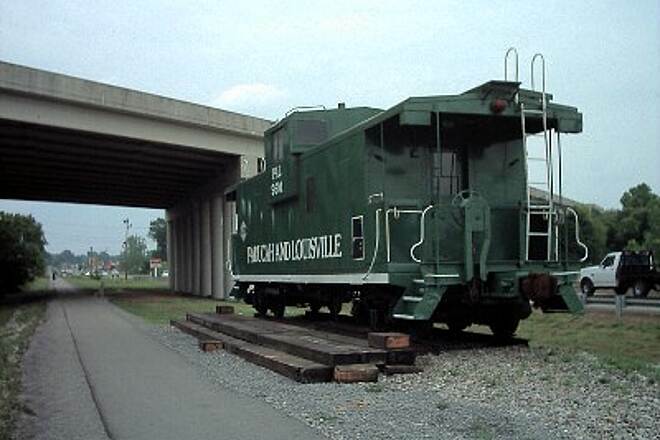 In the 1980s, the Paducah & Louisville Railway purchased the rail line. 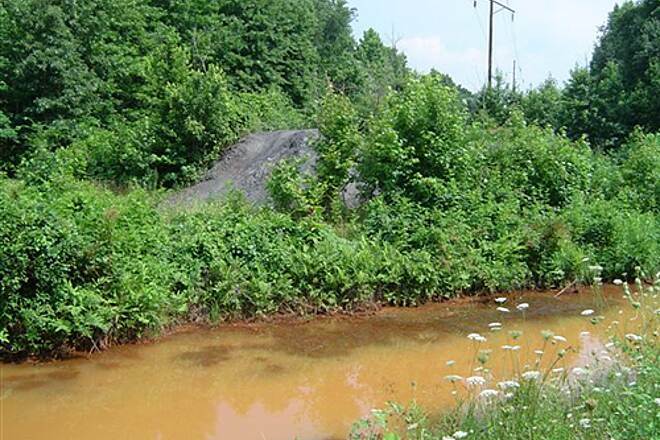 But as coal mines dwindled, so did the need for rail service, leading to the Paducah & Louisville Railway's eventual abandonment of this right-of-way. 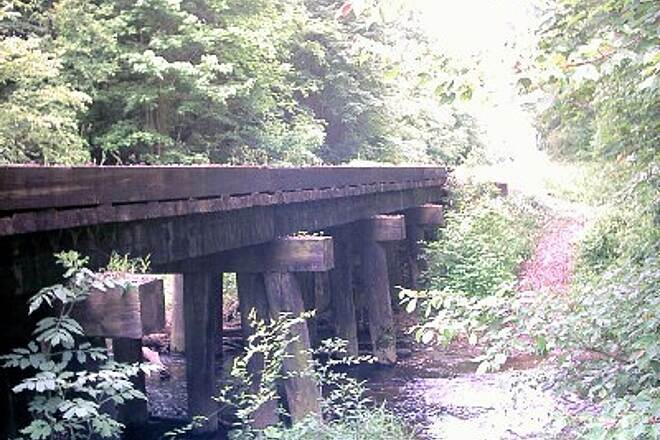 As a reminder of its past as a railroad line, the Muhlenberg County Rail-Trail has preserved many remnants of its history, including old signal towers, mile markers, trestles and whistle signs. 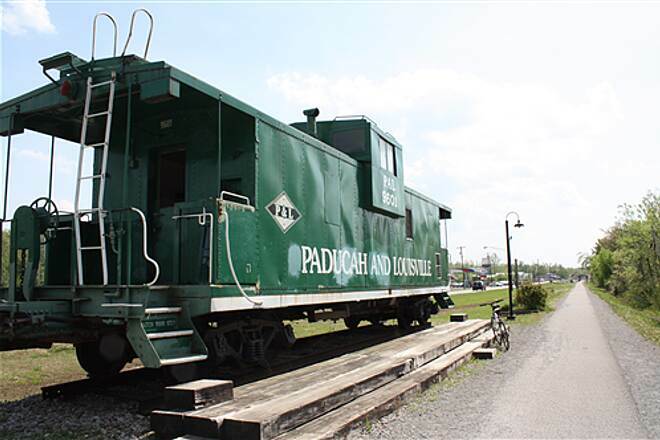 The most prominent feature, though, is an antique caboose donated by Paducah & Louisville Railway. It is now used as a railroad museum, located just south of the Central City trailhead. 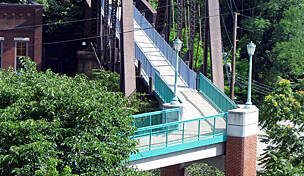 The best place to park is at the trail's southern end in Greenville. 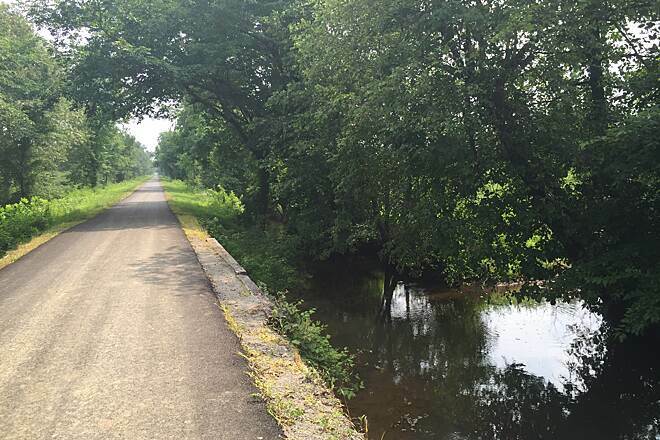 The trail lies parallel to US 62 between Powderly and Greenville. 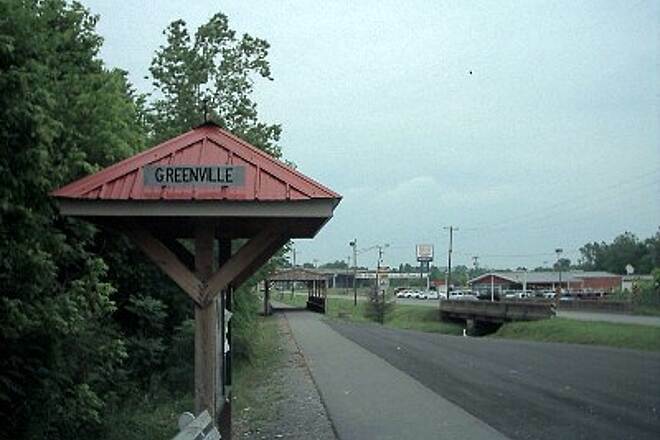 The southern trailhead parking is on US 62 just north of Greenville's town center. 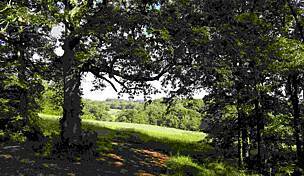 We took our dogs to walk the trail from southern trailhead in Greenville to just past Powderly, maybe 2 miles. 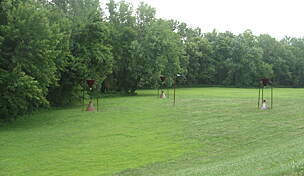 The parking area is right next to US62 just as you come into Greenville from the northeast. When you see the green caboose and covered bridge the parking is the next right. 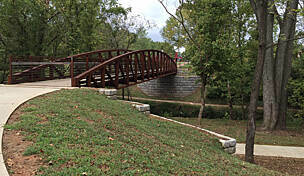 This section is lighted with many benches available to rest. 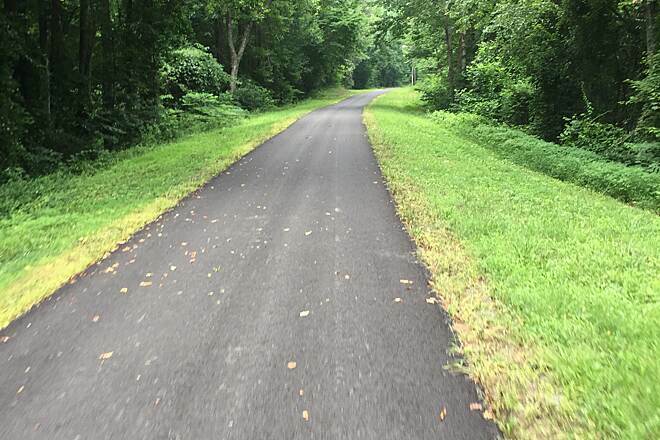 It looked like the trail had recently been widened (previous comment said it was narrow) to about 10 feet and repaved. 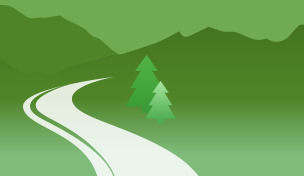 Very level, easy walking. 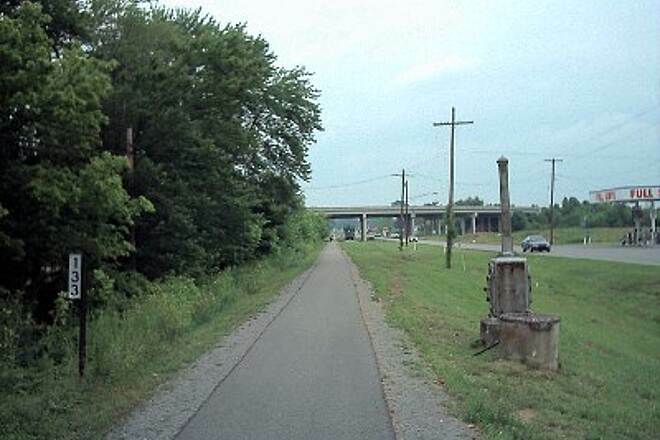 There are no facilities on the trail, but many fast food places across the highway in this section. It does go through an area of older, run down homes, but it was very open and we felt safe walking there. 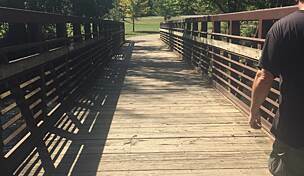 If you take your dogs on this trail please be sure to have them leashed securely as there is lots of open farmland and a busy highway they could get lost in. 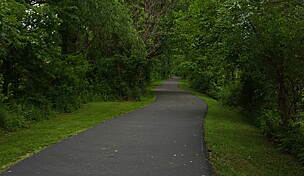 Hope to be able to go the whole 6 miles on our bikes sometime and see the rest of the trail! 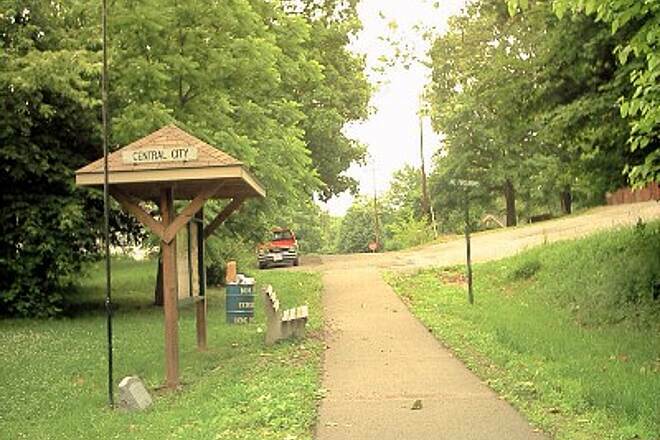 My kids and I have gone on the Central City, Kentucky trail several times. 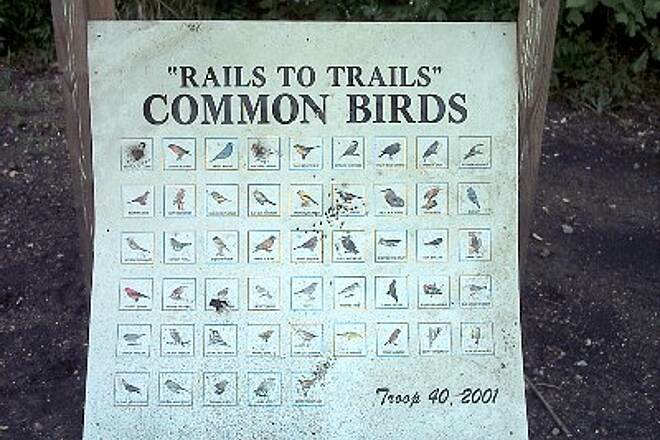 Yesterday, 4/12/09, we went and really enjoyed the wildlife. We saw real life beavers hard at work. It amazing to see the effects they have on the area. The swifts and orioles (I think) were fun to watch also. 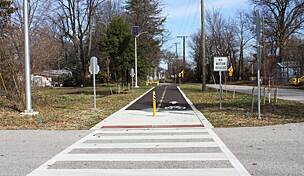 Its nice to have a smooth, flat, SAFE place to bike. Keep up the good work!